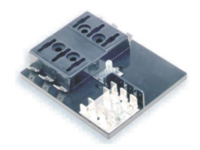 产品说明：AB19 PANEL FUSE BLOCK CIRCUIT BREAKER AND BLADE FUSE PANEL .For AB19(ATC,ATO)fuses or plug in circuit breaker. 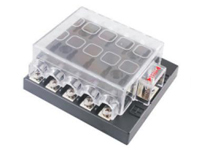 .6.3mm Quick connect terminal. 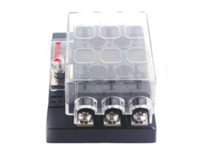 .#10-32 stud terminal with hec,nut,flat washer and lockwasher supplied. .Four 5.5mm diameter mounting holes for #10 screws. .Transparent cover for dust& humin protection. (Can choose with or without the cover.) .Rugged,lightweight construction. 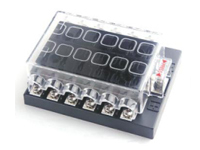 Specifications: .Maximum Amperage per circuit-25Amps. 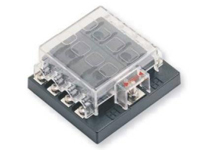 .Maximum Amperage per block 150Amps. 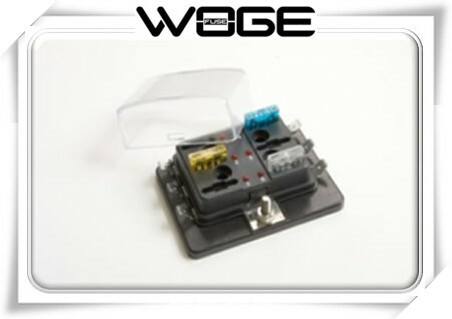 .Maximum voltage 32VDC. .Base material Thermoplastic. 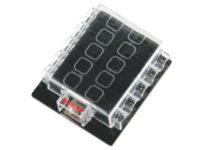 .Cover material clear polycarbonate. .Terminal Material Copper(Tin Plating). 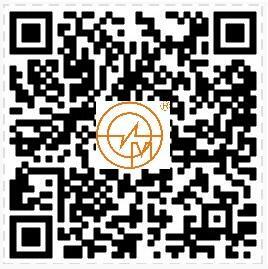 All of our fuses accessories meet the ROHS directive and lead free now further information ,please contact us! 版权所有：东莞市智远电子有限公司 Copyright © 1999-2013 Www.Bor-Seiko.Com.